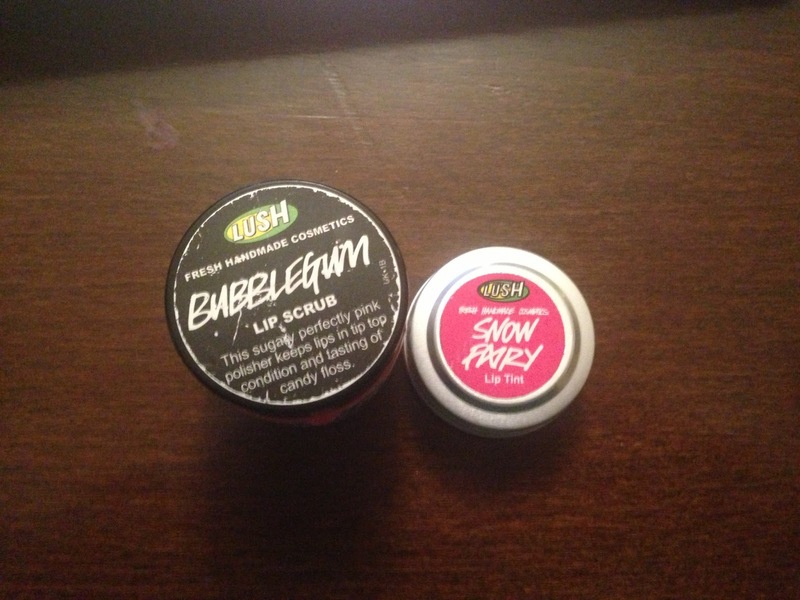 Opinionated Girl : LUSH yourselves! 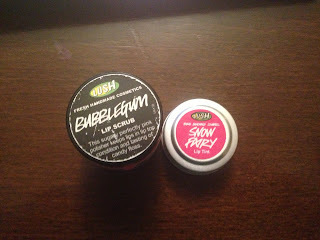 A brand and shop that I think is really under-appreciated is Lush! You can distinct the shop’s location by its wonderful smell that trails from their all-natural all-handmade products! From soap, to skin care and hair care to cosmetics! Also, what I really like about Lush is that you can mix and match the items and buy by the kilo, and end up making a personalized gift set that can be given to all women at any age, or even a gift or treat to yourself! They even have gift boxes and bags, so you don’t have to go somewhere else and buy em! And, they are very eco pro! This little container of lip tint can fit in any purse and is definitely very important to use during the dry weather, so always keep it in your purse lovelies! I love the fact that its smells so amazing! 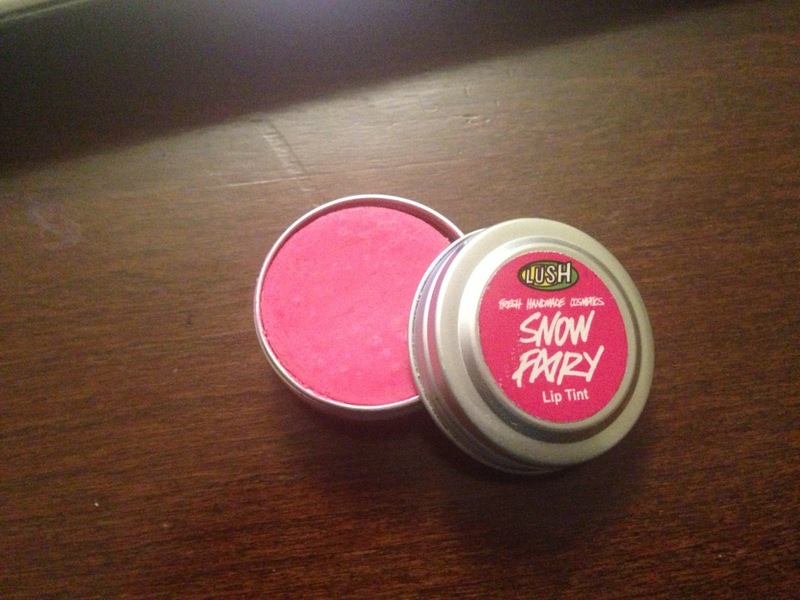 And feels very light on the lips and also softens it up! 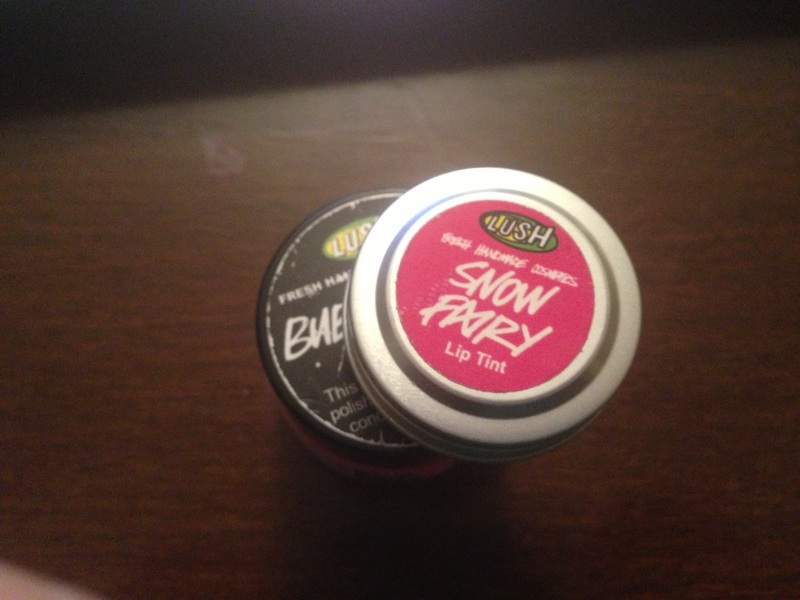 They have several flavors that you can pick from; I chose the snow fairy lip tint. Lovelies! Don’t forget to use this by applying it before your lipstick! My lips keep bugging me about buying this product for them! It’s a new idea that was randomly brought to my attention when I just walked into the shop… I love it when that happens! This lip wonder not only smells amazing, but also tastes amazing! No joke! 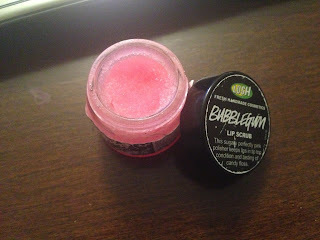 The description literally says that you have to lick it off once your done scrubbing your lips, and the best part is that it’s all natural! So you leave your lips soft and your tummy full! and and and, enter my giveaway! I went to Dubai but forgot to check out lush. you should definitely visit it as soon as you are back here! :D its worth it! Great feedback! Will do exactly that on future posts!